WAIST HIGH: Happy 25th Birthday Shuttered Room. Happy 25th Birthday Shuttered Room. 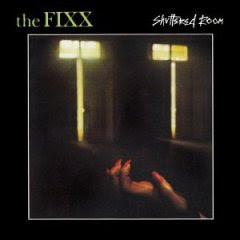 The debut album by The Fixx, Shuttered Room features the classics "Stand or Fall," "Red Skies," and the Waist High favorite "Lost Planes." "Few bands have combined this kind of psychological and political lyricism with music of equal weight and beauty. Cy Curnin, an emotive singer and challenging wordsmith, is backed by a quirky and inventive guitarist, a fluent and imaginative synth player, and a top-notch rhythm section. The Fixx was much more a proper 'band' than many synth-oriented '80s acts -- no doubt one of the reasons it's still making records today." "The Fixx are still recording & touring to this day, with four of the original five band members firmly intact."